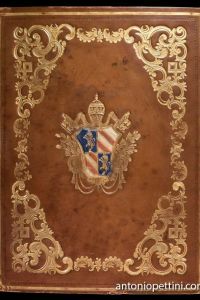 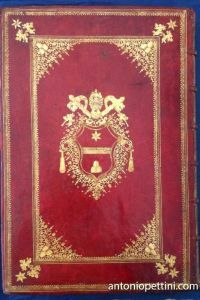 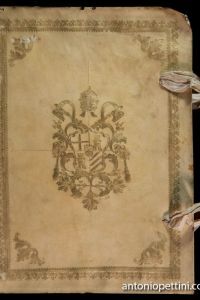 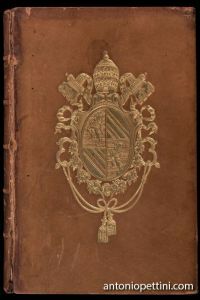 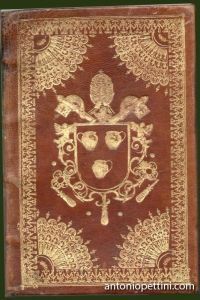 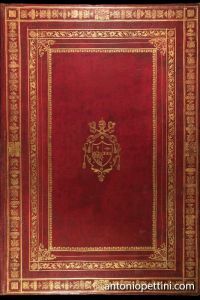 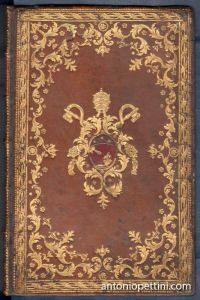 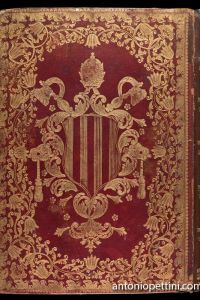 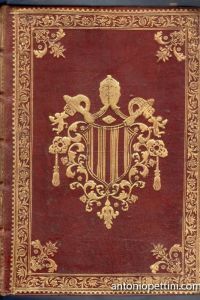 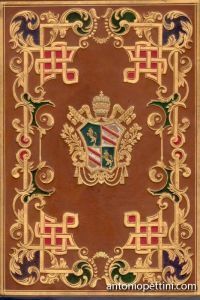 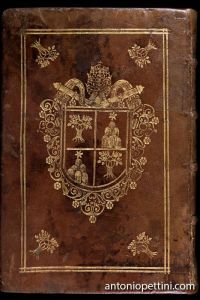 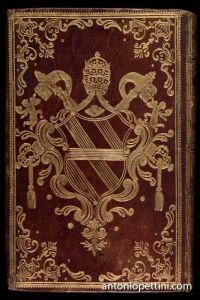 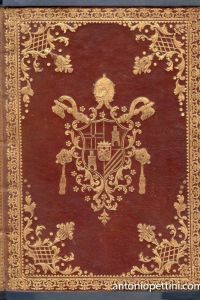 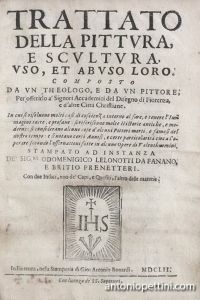 In 4to, pp. . (16), 9, 614, (2), copies are known with 12 (insteadof 16, as the present) pages before the first numbered9; a woodcut publisher mark at title page; woodcut tail piecesand initials; XVIII century binding, in marble calf, painted edges. 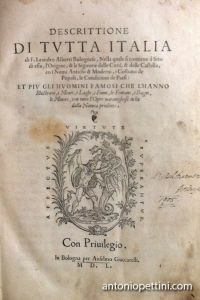 Dedication to Urbino Duke and Ranuccio Farnese. 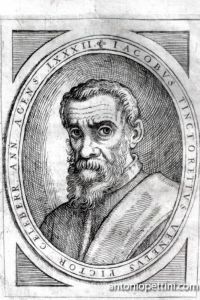 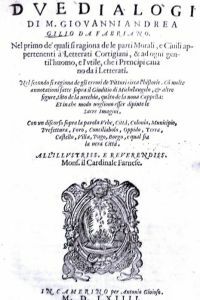 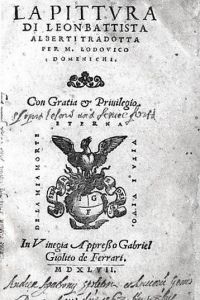 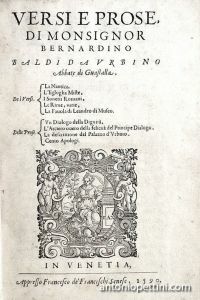 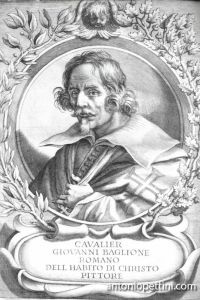 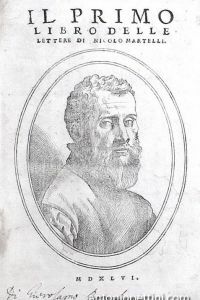 Bernardino Baldi (Urbino 1548?-1618), a member of the InnominatiAcademy and founder himself of the IndifferentiAcademy, was a poet, a story, a historiographer and a polyglot;he composed works in various fields: verses, dialogues,biographies, history and geography treaties, anddictionaries of many arabic, persian and hungarian language;he consecrated, in addition, 15 years of studies andresearches to the history of mathematics, writing then a Mathematicians’ chronicle, and the Mathematicians’ Lives. 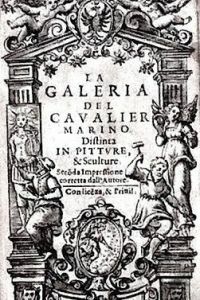 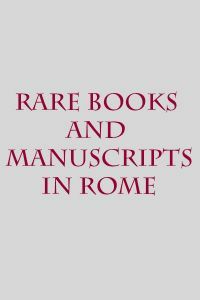 This collection of “Versi” gathers La Nautica (a dydascalicpoem in four books about the art of building and operatinga boat), L’egloghe miste, I sonetti romani (a tourist path inRome, from Porta del Popolo to Porta San Paolo, verses inspiredby the Roman ruins, written during a 1586 stay, withcompositions dedicated to the best known monuments, fromthe Pantheon Laocoön to the thermal baths to Marcus AureliusStatue and so on; these compositions go after a categoryintroduced in 1558 by Joachim de Bellay, author of abook inspired to Roman ruins, “Premier livre des antiquitésde Rome”), the Rime varie (with a dedication to lady VittoriaGalli, dated 1588), the translation of small poem La favoladi Leandro di Museo. 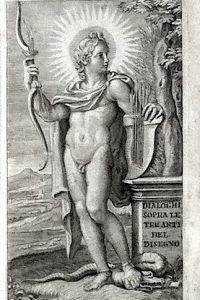 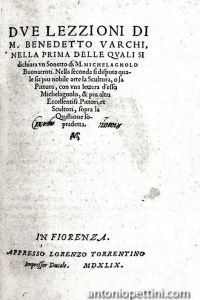 In “Prose” part are gathered aDialogo della dignità (‘A Dignity dialog’), L’arciere ovverodella felicità del Principe (‘The archer, or the Prince’s happiness’),La descrizione del Palazzo di Urbino (‘The UrbinoPalace description’), Cento apologi (‘100 vindications’).“Every work by this so erudite author (a pupil of FedericoCommandino and Guidobaldo del Monte) are precious” (Cicognara). 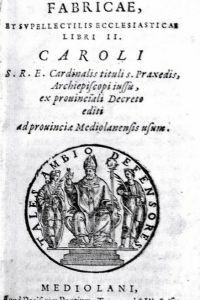 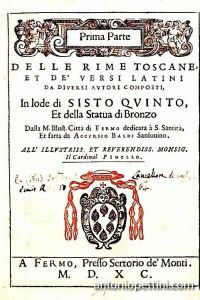 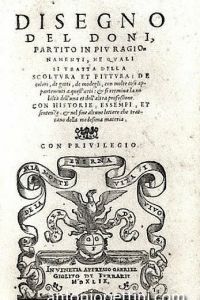 Of great interest, for the considered subject and its in-depthanalysis, is the Descrizione del Palazzo di Urbino, dedicatedto Aragona cardinal in 1587, that surprisingly – since the author’s reliability and strictness – was never highlightedand investigated enough. 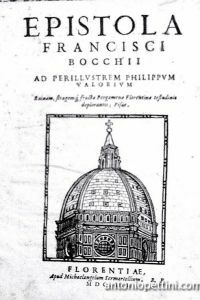 The Palace description has,so to say, no gaps: every part of the building, the inside (theinlaid wood work in Federico studiolo, for example) and th eoutside, is here carefully considered with the critical attitud eaccording to the information that Baldi could gather;a chapter is even dedicated to the construction material forthe building, mainly to the stones put in place according totheir physical and mechanical properties. 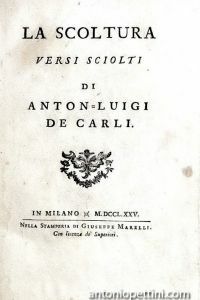 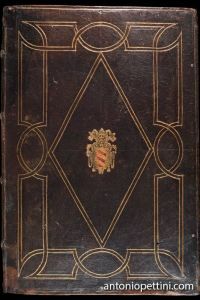 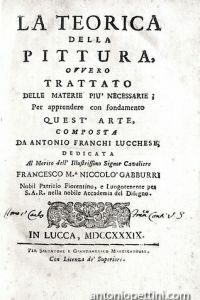 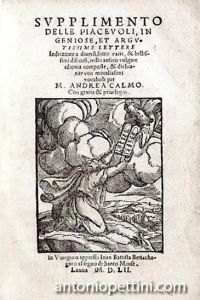 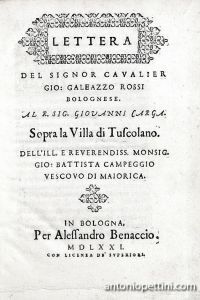 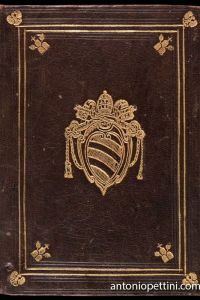 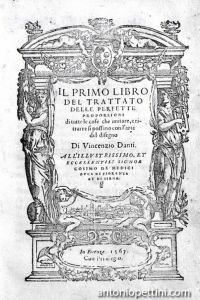 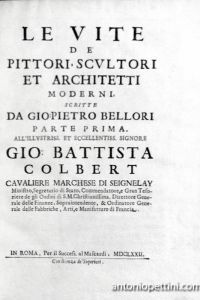 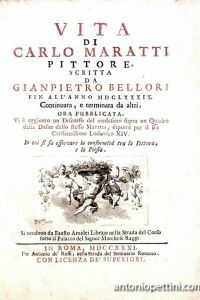 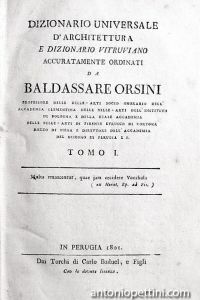 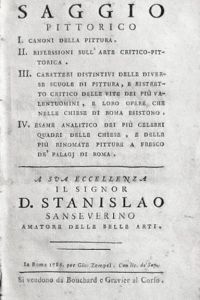 In many pages dedicatedto architecture, Baldi speculates that the originalproject was due to Francesco Martini (and not to Bramante),then followed by the intervention of Luciano Lauranaand Baccio Pontelli, as a testimony that, already before1500, “the good Architecture was discovered, and the Gothicwas left”: with these words, the author means to saythat for that project the ancient way was taken as an exampleto imitate, rejecting the Gothic school shapes (the biforawindows, for instance, a counterpart of ‘measure’ and ‘decorum’,and in the Baldi vocabulary a synonym of ‘barbarity’).In chapter XIII the style purity of the Palace is stilloutlined, and the subsequent attack to contemporary architecture,putting as a reason why the lack of Michelangelo authority, not yet imposed to the architects, that was bringingto employ “whim instead of rule, that could be so goodjust if every brain was of the same quality of his own” (DBI5, pp. 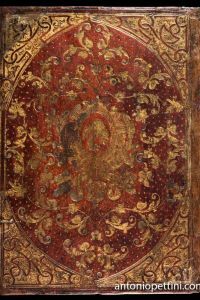 461-64). 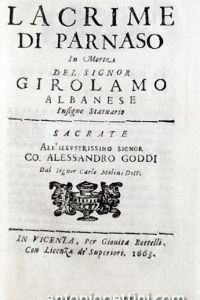 Gamba 1222; Cicognara 3946; Index Aur. 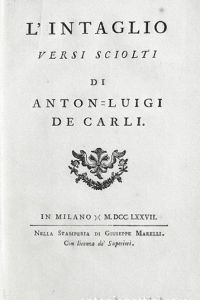 111.860; Edit XVIsec. 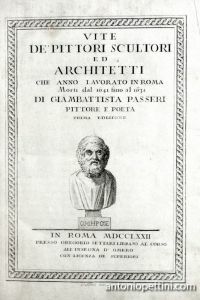 B-150; Quadrio I, 57, 89; Schlosser, p. 324.